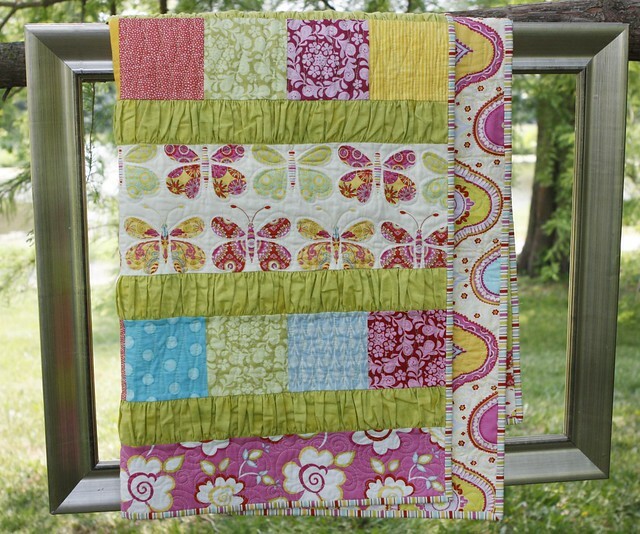 Featuring Vicki — A Bloggers’ Quilt Festival Quilter! I made my first quilt with my grandma when I was 13, and I started quilting for keeps later on, about 14 years ago. I quilt because…I love it. I enjoy trying out different patterns and fabrics, and as a busy mom, I like doing something that is just for me. I like making things because they stay done and don’t have to be repeated (like all kinds of housework). 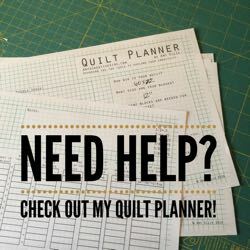 My favorite quilting tip–when you are sewing together long pieces, if one of them is slightly longer than the other, you can sew them with the longer one on the bottom and the feed dogs on your sewing machine will ease in the extra fabric. My quilt festival quilt this time was my Rainbow 9-Patch and it was my second 9-patch in this style. When I made my first one, I just made the blocks from whatever colors I wanted, and the second time I deliberately chose fabrics so I would end up with a rainbow of blocks. This quilt by Kate from Swim, Bike, Quilt was definitely one that made me want my own rainbow 9-patch. I also sew clothing and other small items, but not as much as I used to. I recently finished my first PDF quilt pattern, Ruffle Crush (above), and it’s available in my shop. 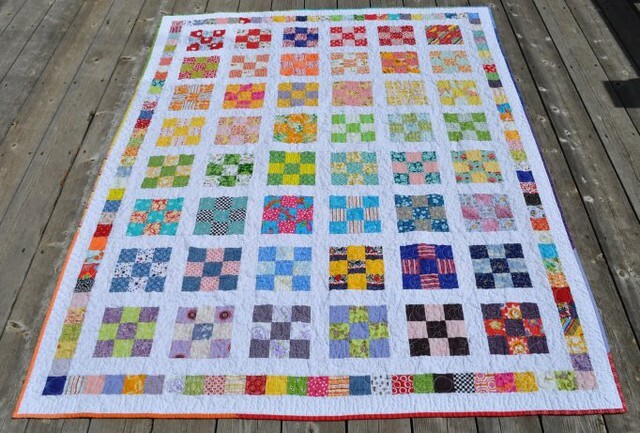 Vicki – I love how colorful and cheery your quilts are! Your tip is one of my favorites that I’ve put into practice for years! Thank you for sharing your quilts with us! Vicki’s quilts are wonderful! Thanks Vicki and Amy! 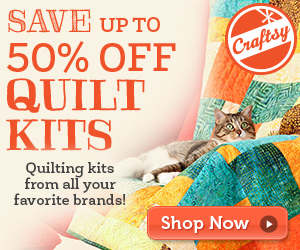 Vicki’s quilts are lovely and so inspiring! Thanks for introducing us to Vicki, Amy! I love the ruched ruffles in Vicki’s quilt! Such a fabulous idea for adding surface texture! Amy, I love Vicki’s quilts! Nice colors. 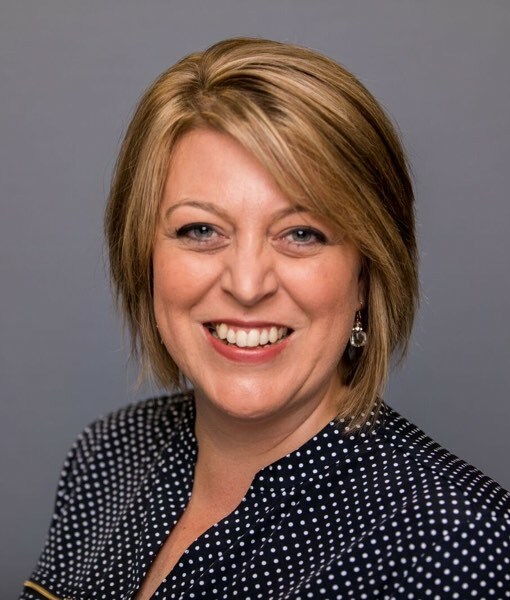 Yay Vicki! I was in a Bee with Vicki last year and loved making her blocks. It was great to meet her IRL when she was in Utah last week. Woo! And that Ruffle Crush quilt is even prettier in person. Trust me. LOVE it. I love Vicki’s Rainbow Nine Patch – gorgeous. I’m off to check out her blog! Love these wonderful fabrics, would love to have the chance to create with them! I love your quilts. I love the bright colors. 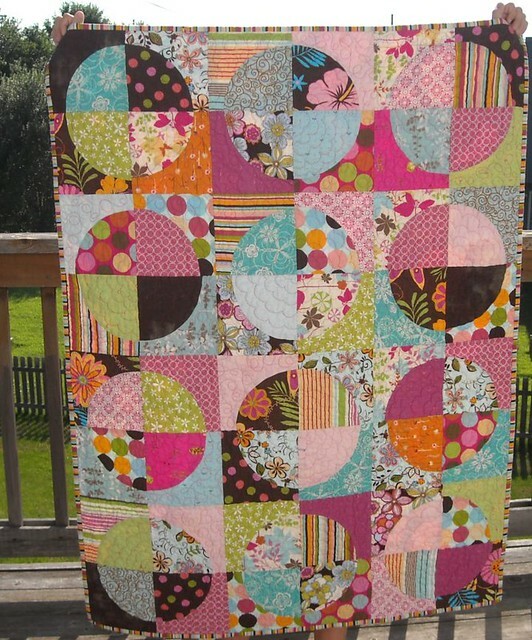 Love, love the ruffle quilt!! I love Vicki’s modern take on a Dear Jane! And that tip is a great one! I quilt because I love it, too. 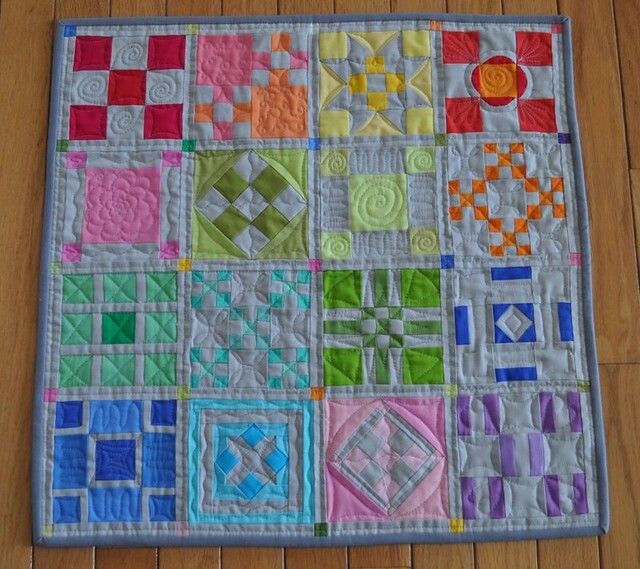 Love the Rainbow Nine Patch quilt; a great take on a basic quilt. Gotta love a tip like that! sure you have everything that should be there. Take into consideration the look and feel of the advertisement. Possibly the easiest, but the combat clash of clans hack tool phase leaves something ‘to be desired. hope its a significant increase. Very great suggestions, personally Iâ€™m gonna have to bookmark this and come back to it. Do you’ve any feedback on your most recent post though?